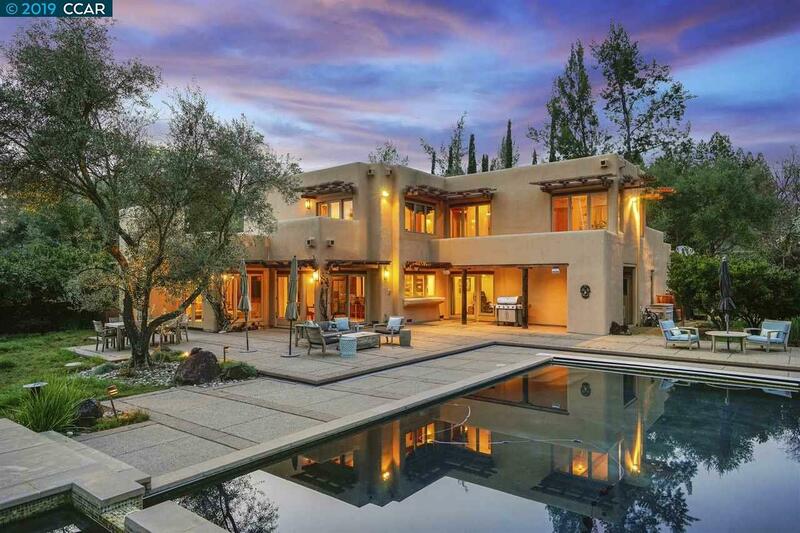 This Santa Fe style custom home is a true Adobe masterpiece. Beautifully crafted with many modern conveniences and fine architectural details, featuring exposed wood beamed ceilings and seamless indoor/outdoor flow. The chef's kitchen is well appointed with SS appliances. The family room features a wood burning stove and a built-in entertainment center. The formal living room features a fireplace, and the formal dining room features a built-in buffet. Beautiful, hand-scraped custom walnut hardwood floors in both areas. The master suite offers hardwood walnut floors, a window nook, and French doors that open to a large balcony. The master bath features heated, Italian porcelain tile floors, a steam room and shower, a dual sink vanity, and a walk-in closet. Two secondary bedrooms upstairs. An additional room downstairs can be used as a fourth bedroom. The backyard features a patio, a pool and spa, and a sport court. Close to dining, shopping, and SRV schools.